1. Do I have to have a wholesale account? Of course not! You can pay 24% more for a retail account if you want; just click here and select "Retail Member." However, anyone can enjoy a wholesale account without obligations and it saves you money. 2. So wait, I'm not obligated to "sell" anything or hold workshops like you do to get a wholesale discount? Heck no! Your account is for your own personal use. 3. Is there any general info on essential oils that I can check out? Yes! Click this link and you'll find more information about essential oils, essential oil-infused supplements, personal care products and powerful, natural household cleansers. 4. What if I want to cancel for some weird reason? You're free to cancel for any weird reason you want, any time you like. 5. What do I need to do to open my wholesale account? From the options under the blue headline below, choose a collection fits your needs, goals and budget, starting from $45 to $260. Click the button under the collection you choose, then select "Member" and "Continue." Your collection enables you to start enjoying the wellness that essential oils offer and to receive 24% off anything else you want. That simple. What Are The Best Wholesale Collection Options? 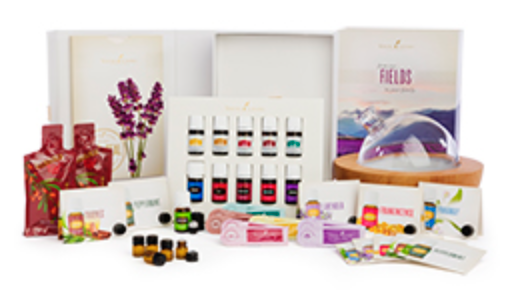 An extraordinary value that offers a comprehensive introduction to the power of essential oils, the Premium Kit with Aria is the perfect option for those who are serious about transforming their health and well-being. Aria Diffuser -- a unique, stylish way to bring the benefits of essential oils into your home. ; relaxing multicolored LED lights and a selection of soothing, built-in sounds functions; also functions as an MP3 player. Click the link above, select "Member" and "Continue." Follow the prompts and be sure to click Premium Starter Kit + Aria Ultrasonic Diffuser for your collection. If you don't want to set up a monthly order, page down to Step 3: "Continue Enrollment" and follow the prompts. The Dewdrop Collection is the perfect choice for those want a comprehensive experience with the power of essential oils at a great value! Dewdrop™ Diffuser - functions as a humidifier, atomizer, and aroma diffuser in one! Click the link above, select "Member" and "Continue." Follow the prompts and be sure to click Premium Starter Kit + Dewdrop Diffuser for your collection. If you don't want to set up a monthly order, page down to Step 3: "Continue Enrollment" and follow the prompts. The Thieves essential oil blend was inspired by the legend of four 15th-century French thieves who formulated and wore a special aromatic combination of clove, rosemary, vinegar, and other botanicals that they believed provided protection while they were stealing. French authorities recognized that there was such value in this mixture that upon the thieves’ capture, they received a more merciful punishment on condition that they divulge the ingredients in their formula. With the benefits of Thieves oil, Young Living offers this blend and as an important ingredient in a full range of home cleaning and personal care products, from dish soap to toothpaste. Possibly our most versatile and beloved prorprietary blend infused with a pleasant spicy aroma, Thieves products replace harsh chemicals with pure, therapeutic-grade essential oils and other naturally derived ingredients. This Starter Kit is ideal for those wishing to replace harmful chemicals in the home with powerful, natural alternatives. Click the link above, select "Member" and "Continue." Follow the prompts and be sure to choose the "Other Premium Kits" tab in Step 1 and select "Thieves Kit" for your collection. If you don't want to set up a monthly order, page down to Step 3: "Continue Enrollment" and follow the prompts. The Basic Collection is perfect for those on a budget! This collection offers the samples and literature you need to begin experiencing the wellness, purpose, and balance you're looking for. Click the link above, select "Member" and "Continue." From there, follow the prompts and be sure to choose the "Basic Kits" tab for your collection. If you don't want to set up a monthly order, page down to Step 3: "Continue Enrollment" and follow the prompts.